The secret to our distinctive flavor? We handle our botanicals separately. You will taste the difference. Pinckney Bend Gin is made in small batches with botanicals handled separately. Some are macerated and distilled, while others are suspended in the vapor column. The botanicals used in our gin include ‘standard’ gin ingredients such as juniper, coriander, orris and angelica, but include more nuanced flavors of cardamom, lavender and blended citrus. The result is a premium-quality American gin with balanced layers of flavor and aromatics. Our gin aroma leads with a traditional juniper-nose that gives way to a sweet and soft aromatic. 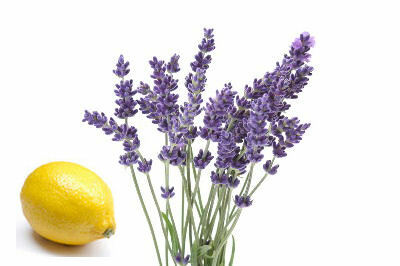 It has a slight front-heat that ends with a crisp, light citrus note. The body isn’t oily or overly-junipered, but has a layered depth of flavor with a balanced, fresh taste. 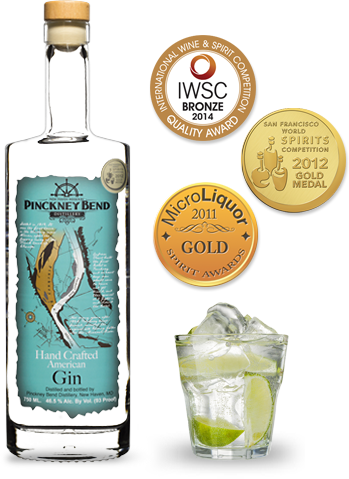 Pinckney Bend Gin has won gold at the San Francisco International Spirits Competition and the Micro Liquor Spirit Awards in Las Angeles. Our gin was also awarded a bronze at the International Wine & Spirits Competition in London. Gin is a divisive drink. It has been for centuries. Before there was gin, there was jenever. How this Dutch invention became English is a story of war and empire. Responsible for an early booze-filled crisis, the botanical spirit was once considered the scourge of society. American gins popped up another few hundred years later, using wider and varied botanicals, often with local or regional fruits and plants. Pinckney Bend American Gin tips it’s hat to those that came before us while creating a high-proof contemporary gin with a citrus forward counterpoint. One taste will make you a believer. In fact, we’ve come to call how we change minds of non gin-drinkers a Gintervention. Stunning on the rocks and uniquely satisfying in a Collins, mixing is where this gin shines. Don’t be afraid to make a twist on a classic or let your imagination take you on a botanical journey. Hours: Open daily, Noon to 6 p.m.